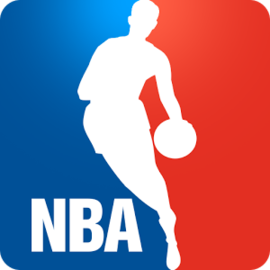 The National Basketball Association (NBA) is the preeminent men's professional basketball league in North America, and is widely considered to be the premier men's professional basketball league in the world. It has 30 franchised member clubs (29 in the United States and 1 in Canada), and is an active member of USA Basketball (USAB), which is recognized by FIBA (also known as the International Basketball Federation) as the national governing body for basketball in the United States. The NBA is one of the four major North American professional sports leagues. NBA players are the world's best paid sportsmen, by average annual salary per player.